The Emanations Tarot is a rare deck by "Christos Beest", a pseudonym used by the Shropshire based composer and artist Richard Moult. The deck includes his 21 major arcana of the original Sinister Tarot, the published court cards and alternate versions of some cards. A selection of Richard Moults newer paintings created almost two decades later, such as his Sappho series, are also part of the deck. 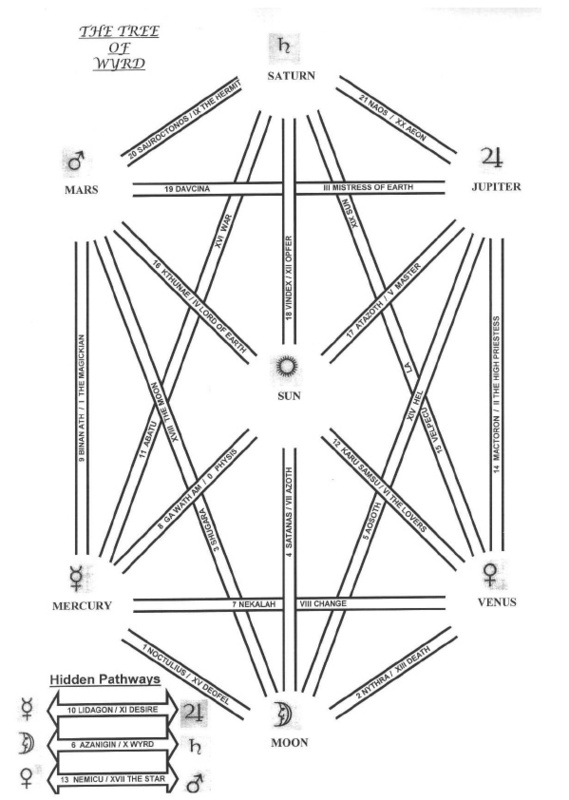 Beest/Moult created this deck while in the Order of Nine Angles (or ONA). Moult was involved with the ONA for about a decade, from 1989 to the late 90s. At some point during this decade, he created a tarot deck reflecting the ONA's philosophy and worldview. Part of this deck was published in 2007 as "The Sinister Tarot," in a limited edition of 40. Unlike most occult tarot decks, this one is not connected with the Golden Dawn. Its major arcana, and court cards, differ from tradition. A few cards, such as the Lovers, are traditional, though the imagery is not. 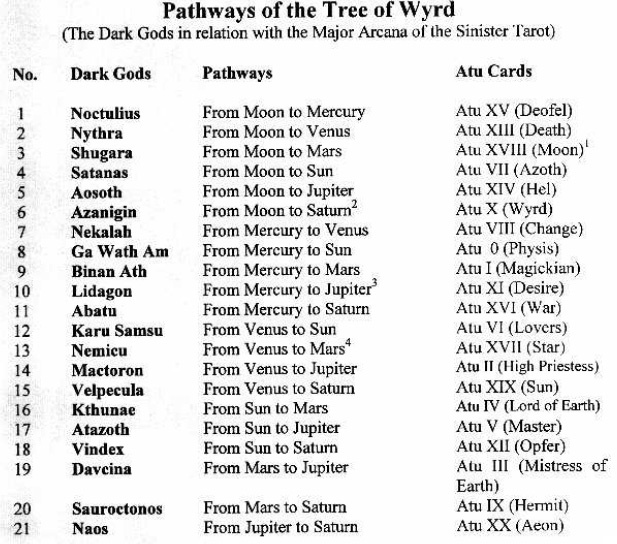 According to an accompanying document, this deck is not for telling fortunes, but for "visualisation, and attracting cosmos energies, called 'Dark Gods,' according to the Tree of Wyrd." 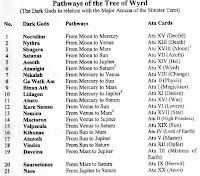 Each tarot trump represents a Dark God, as well as a pathway in the Tree of Wyrd. These correspondences don't follow the Golden Dawn's interpretations––neither do the images themselves. Only 24 sets of Emanations using the white ONA Sigil on a black velvet tarot bag were issued, another 24 sets were supplied with red tarot bags adorned with the newer golden sigil designed by Moult. My copy has the black bag with the ONA sigil. The deck came with a black tourmaline stone, a CD with chants and a little booklet.